Tom Hall has spent most of his career advising clients on growth as well as growing companies himself. He founded and built the largest advertising education organization in the country and sold it; he built and sold an advertising firm to a national company; he developed a system for public service advertising now used throughout the U.S.; he has built a multi-million dollar property investment firm, Hall Equity Corp; and he chairs a communications firm,Tucker/Hall, based in Florida. Tom has worked with many successful growth companies since his earliest days in business and has learned from client and fellow business owners how to make strategy work. 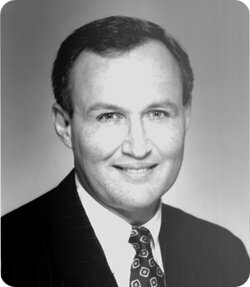 Over the years he has served as marketing and growth counsel to numerous national organizations including John Hancock, General Foods, Wendy’s International, Fox Television Network, U.S. Healthcare, Federated Stores, Tishman Speyer Properties, General Motors, Citibank, and Johnson & Johnson among others. He has also worked with many regional fast growth and start-up companies. He began researching fast growth organization strategies in 1998, and sought to uncover why some companies are able to use strategy for both short and long term success, and others seem to lose steam and plateau—never reaching their full potential. Tom has been a guest lecturer at the University of Florida, the University of Central Florida, Florida Southern College, the University of Tampa, and the University of South Florida in addition to speaking to various business groups including the American Advertising Association. He served on the National Committee on Improving Advertising of the American Association of Advertising Agencies, and on the National Advertising Review Board. He was one of the catalysts in the renaissance of downtown Tampa and is chairman of the Florida Aquarium Foundation.